Kenya Cup week 4: What's at stake? / Ragahouse.com Kenya Cup week 4: What's at stake? Kenya Cup week 4: What's at stake? Kenya Cup enters matchday four on Saturday Dec 8 with Nondies seeking to register a fourth straight win in their blistering squad. They visit struggling Mwamba who have not won any match in their new season. They have however picked three bonus points in three defeats. As Nondies have enjoyed wins over Homeboyz, KCB and Menengai Oilers, Mwamba narrowly lost to Homeboyz and Quins. This clash should be a big one and could go either way. Menengai Oilers return home to host Homeboyz with the Deejayz set to welcome back a number of those who missed last week due to Dubai 7s. Homeboyz has already lost two matches which more than they lost last season. Oilers will find it hard to break through but should be motivated by Homeboyz’s slow start to the season. Table toppers Kabras Sugar head to Madaraka in Nairobi hoping to get a fourth straight win as they visit Strathmore Leos. The form book favours them but you cannot rule out Leos from the game and especially being the home side. Strathmore have not been firing enough in the past three weekends scoring only 34 points meaning Kabras has scored 94 more than them. Leos and Kabras met in last season's quarters with the latter winning 43-13. A lot has changed since then! Mean Machine enter a crucial week starting with Impala before heading to Nakuru. They are technically the hosts against Impala but due to TV this game will be played at RFUEA. Machine have not played any match at home since their promotion and will not do in 2018. They would have wished to stage this game at UoN because of the home support they get. 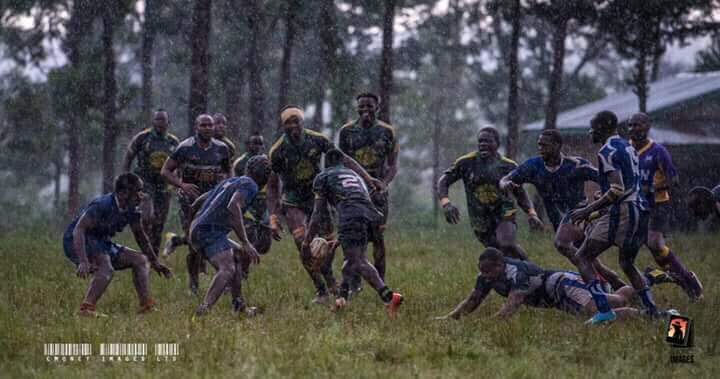 Impala are one of the three unbeaten teams but Machine can draw inspiration’s from Impala’s match-day one performance that saw them almost go down to Blak Blad. Top Fry Nakuru suffered the biggest defeat in recent days going down 50-8 to Kabras Sugar and Mitch Ochola knows he must get things right when Blak Blad come calling. Blad won their first game to move out of relegation zone and with Nondies having spoiled the relegation papers with three opening wins, they know from now every point matters. Key game of the weekend will be between hosts Kenya Harlequin and KCB LIVE on Bamba Sports at RFUEA. Quins bounced back to winning ways dispatching Homeboyz while KCB defeated Mwamba after their first defeat in close to 20 months. Quins know they are facing a different KCB from the one that played Nondies since Simbas internationals are back to the fry but the Bankers know they have a mountain to climb at 4pm on Saturday.